If you prefer watching movies at home to the cinema then you know how important it is to have not only a big high-resolution screen but also high-grade speakers. It’s all immersive sound that makes you tremble while watching a horror film as well as feel the true catharsis while listening to The Four Seasons of Vivaldi. So, high-quality speakers are a must for those who value nice sound. Of course, even the best home theater speakers can’t make a dull movie cool but they will never spoil the great one. How to Choose the Best Home Theater Speakers? 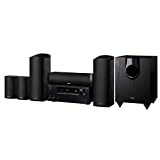 Looking for the best home theater speakers to offer you we took into account some criteria which we suppose to be the most important for the right choice. The first one is technical characteristics. Here’s the list of some notions you should be aware of before your purchase. This kind of speaker is aimed to produce low-frequency sounds. It is usually placed on the floor or at the lowest level as this allows it to show the best performance of bass frequencies. Unlike a subwoofer, this type of speaker, aka treble speaker produces high-frequency sounds. They are usually used to hand off low bass to a single larger subwoofer. Thus, these smaller stereo speakers are mostly used as a part of 2.1 subwoofer/satellite speaker systems. This option allows you to play music form such devices as smartphone or tablet wirelessly. Modern speakers have multiple audio input interfaces as they make them compatible with different devices. This feature means that your speaker has HDMI 2.0 or newer connection which supports 3D format. The point is that some Blu Ray discs and players support 3D, which can be streamed only through A/V receiver. This option presupposes that your speaker is compatible with 4K TV sets. As well as speakers with 3D capability, they have HDMI 2.0 or newer connection which is necessary for the 4k (2.1 allows even for 10k). Some people think that high-end stuff is always expensive. Obviously, that’s true but it doesn’t mean that cheap speakers are bad. Furthermore, you will be surprised to learn how speakers with the same low price differ in their options and quality. The most important thing here is to keep in mind that home theater speakers can be both budget-friendly and effective at the same time. Thus, the other point which is important to take into account is price. If you are ready to spend a fortune on a new home theater system, your neighbor may be planning to save on it. And modern market knows it. At least it tries to predict customers’ financial potential and as a result, create products to satisfy their different needs. Our list of the best home theater speakers includes both expensive and budget systems to make you feel free while choosing the most suitable one. What you should know for sure is that the more channels the speakers have the more expensive they will be. Note that speakers for movies usually have more channels in order to involve surround sound systems. Consequently, their price will be higher than those which are aimed mostly at music. And the last but not least is design. OK, you may say that it doesn’t matter as much as the technical side of the speakers but we won’t agree. We always advise choosing something that will inspire you and speakers aren’t an exception. Avoid products the general look of which irritates you. Moreover, pay attention to the size as they need to blend well in your setup. The YHT-4930 is a piece of art in the world of sound! The system is capable of transforming any room into the perfect journey due to the gorgeous 5.1 channel surround sound receiver RX-V383 with Bluetooth, 4K Ultra HD video, Dolby Vision, and Hybrid Long-Gama compatibility. 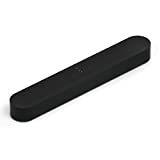 The receiver is matched with a 5.1 channel speaker system (5 compact and glossy speakers that cover the front middle, left, right, surround left, and surround right) and a 6.5 inch and 100-watt powered subwoofer. This home theater system is also equipped with the Yamaha Parametric Acoustic Optimizer (YPAO), which automatically optimizes the system based on the acoustics of the room. So, you can use the YHT-4930 for a wide range of activities such as watching a game with your friends without losing anything from the live experience or wirelessly streaming high-end music to the speakers. While the speakers do look compact, you don’t have to worry about the bass output. The system is equipped with an Extra Bass setting. This stylish complex of 5 speakers will surround you with radiant tunes from the list of your favourite soundtracks. All speakers are matched perfectly well, so you will enjoy their harmonious performance. Fluance SX-HTB has premium 1-inch neodymium balanced silk dome tweeters that are ferrofluid cooled for vibrant high-frequency response. Besides, there are 4-inch poly-coated midrange drivers, the butyl rubber surrounds of which provide clear sounds. What is more, such drivers guarantee rich and accurate vocals. 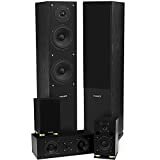 Except for the pre-cited tweeters, this Fluance speaker system has powerful floor-standing dual 6.5-inch woofers, responsible for high definition sound as well as optimal low frequency response. Their smooth acoustic imaginary will make sure that you won’t miss any single note and will make you feel like in a true cinema. These speakers have a durable crafted audio-grade MDF wood construction. Such build provides minimized cabinet resonance and allows speakers to produce natural sound. By the by, Fluance SX-HTB has a warranty with lifetime customer support. So, what we really like about this 5.0 channel speaker system is its ability to harmonize the stylish look and a sound performance. Fluance SX-HTB speakers are suitable for any living area. The only thing which can keep you from buying this system is its price – $400. 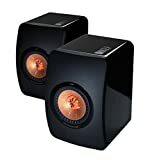 So, if you are planning to get budget speakers then this may be not as good option as Emotiva Airmotiv B1 or ELAC Debut B6 which have a more affordable price. Another thing is size. Just keep in mind that you’ll need some space to place this speaker system at your home. So, what have these speakers to offer? Enclave Cine Home HD 5.1 includes Smart Centre with ARC and CEC support, which will save your money as well as space. The point is that you won’t need to get additional audio and video receiver, running speaker or a speaker cable. This Smart Centre can be easily connected to your TV by means of the single cable. Thus, this speaker system will be able to host HDMI and SPDIF sources, which include a satellite, a cable, streaming appliances and gaming consoles. Each Enclave speaker has two full-range drivers on the opposite side of the enclosure used for widespread surround experience. There are also 3 HDMI inputs which serve to connect your cable box, DVD-Blu Ray player, gaming console, such streaming appliance as Apple TV, Amazon Fire, etc. This speaker system is aimed at top-notch performance, so all its components help it to surround you with every nuance of sound. Music, movies, video gaming – these are all activities Enclave HD 5.1 is suitable for. 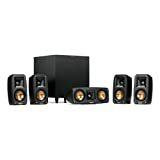 What is more, keep in mind that these home theater speakers have also got a wireless subwoofer. And as you know, that’s a true guarantee of high-grade bass. By the by, Enclave HD 5.1 have also got apps for Android/iOS to stream music from your device or local network just using Bluetooth/Googlecast option. But note that Googlecast requires Chormecast. For those of you looking to build a home theater experience, the Onkyo HT-S7800 may be the right choice. 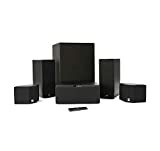 With a solid build (wood with a nice black finish), the system comes with front right and left speakers, back left and right speakers, center channel, and huge subwoofer. However, the 2-way bass reflex, the front left and right speaker cabinets also house the full-range Acoustic-Suspension Dolby Atmos-Enabled height speakers. These bounce sound off the ceiling, which creates the ideal cinematic experience! Besides the cool audio features we already mentioned, the HT-S7800 supports WiFi, Bluetooth, tune in radio, and it can be controlled using the Onkyo app. Also, the receiver has Chromecast, Spotify, Pandora, and AirPlay built-in. Finally, the frequency response is between 10 Hz–100 kHz, which covers a lot more than most home theater systems do. Bose created this compact and sleek-looking 5.1 surround system for the regular entertainment needs (music, movies, and games). The speakers are compact and blend in well with any design. Even more, they are easy to mount on the wall. The sound offers a spacious experience and works best in larger rooms. Furthermore, the bass is quite powerful, due to the two high-performance drivers mounted in the Acoustimass module. The first thing that stands out in the KEF LS50 Mini Monitor is the design. The monitors are available in three colors, but what takes the eye is the shape. With curved edges and an elegant line, the KEF LS50 can easily be mistaken for a modern sculpture! So, if you’re looking for a pair of monitors that will blend nicely in an elegant setting, this is the one! Furthermore, the LS50 delivers a large listening sweet spot and clean, expansive sound due to the Uni-Q driver array it includes. Finally, the monitor is one of the most award-winning products ever released by KEF, which says a lot about the sound quality. A home theater system designed to create a sound that moves you, the Logitech Z906 comes with some powerful features. The system packs 1000 watts of peak power (continuous 500 watts of power), is THX Certified, and offers inputs for multiple audio sources. This means you can hook up your TV, your computer, and your console to the same unit. Furthermore, the design is modern and compact, which makes it easy to integrate into any type of indoor setting. With both Dolby Digital and DTS encoding, this 5.1 system is perfect for any type of entertainment. Even more, the speakers convert the sound from old audio recordings into an immerse sound experience, fit for today’s standards. This is the perfect home theater system for people who don’t like wires. The speakers connect to the sturdy subwoofer using a 2.4GHz network, which is ideal for delivering the perfect acoustic performance. The sound performance is great due to the Injection Molded Graphite woofers, which provide a fantastic low-frequency response with minimal distortion. Furthermore, the aluminum tweeters are perfect for delivering a clean and natural sound. The subwoofer element may be a bit bulky, but the wireless connectivity is definitely a plus. Also, the speakers can be easily mounted on the wall or placed on furniture, with a minimal footprint. Who said that you need bulky subwoofers and complicated receiver for good audio entertainment? Sonos proved all you need is a well-engineered sound bar with some interesting features! First, the sound is immersive and brings enough power to the mix that you can enjoy music, video games, and movies without missing out anything. However, the feature that makes Beam one of the coolest sound systems on the market is the integration with Amazon Alexa. This gives users the possibility to control the sound with the voice. But it’s not just about voice controls. Alexa is fully enabled on the Sonos Beam so you can get news, have it search for information, and more. Finally, Beam can be connected with other Sonos speakers throughout the entire house. This way, you can create the perfect sound system without using any wires. Here is another representative of Pioneer family. HTP-074 includes a 5.1-channel AV receiver and 5 compact speakers (150 W each). What is more, there is also a subwoofer (100W), what guarantees you high-grade bass performance. This Pioneer speaker system has 4 HDMI inputs and Ultra HD (4K/60p/4:4:4) pass-through with HDCP 2.2. Besides, it supports the newest HDR video standards. Pioneer 5.1 HTP-074 is 3D ready. It means that this system is compatible with Blu-ray Disc player as well as DVD player.Moreover, you can use it for gaming. Just imagine what great result you will get if you mix one of the best gaming computers and these powerful speakers! HTP-074 can be also called one of the best Bluetooth speakers, as they support devices with the built-in Bluetooth Wireless Technology, so you can enjoy music from your favorite streaming channel. In fact, Pioneer 5.1 HTP-074 is a good choice for those who want to combine a reasonable price and quality. These speakers will cost you about $300 and fill your home with vivid and precise tunes. 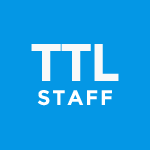 They support Dolby TrueHD and DTS-HD Master Audio surround soundtracks. Furthermore, their Advanced Sound Retriever restores the output of compressed audio such as WMA, AAC, and MP3, to the level of CD sound. Consequently, any sound delivered from this speaker system will surprise with its crystal clear effect as this technology helps to restore the minor details which are usually lost during the compression process. By the by, Pioneer 5.1 HTP-074 has ECO Mode 1 option, which allows you to save energy (i.e. money) while listening to the high-quality sound. This mode is suitable for CD music and 2ch audio files. ECO Mode 2 provides moderate sound quality and is better for movies or live music. ELAC may not be as famous as other brands, but their Debut series sure is! They managed to create a pair of speakers that deliver pitch-perfect audio quality while also keeping the price affordable. Furthermore, the speakers’ cabinetry is wood, which improves the audio quality. The Debut B6.2 bookshelf speakers are equipped with a 6.5-inch Aramid fiber woofer and a 1-inch Soft Dome tweeter to create a wide soundstage. The front can be as is or you can install a magnetic grid, to give it a more covert look and protect the inside elements. It’s true, this is only a two-channel surround system, but the sound is clear and powerful. Not to mention, the experience is immersive for music, games, and movies. Today the range of home theater speakers is more than just wide. You can choose anything varying from the best budget system to the most expensive and qualitative. There are systems which consist of up to 6 speakers as well as those in the form of a single unit. Still, if you are a true fan of the home theater then you may be more interested in HTIBs (Home Theater Speakers in Box). 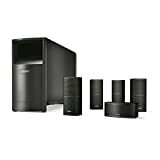 Such systems include not only speakers but also subwoofers for high-grade bass, additional amplifiers and AVR receivers. The other thing which will make HTIBs even more functional is their wireless connection. Klipsch speakers aren’t like ordinary speakers. These wireless speakers give you absolute freedom from cumbersome wires. Also, it gives you the comfort of having a surround sound quality on either side of your TV.